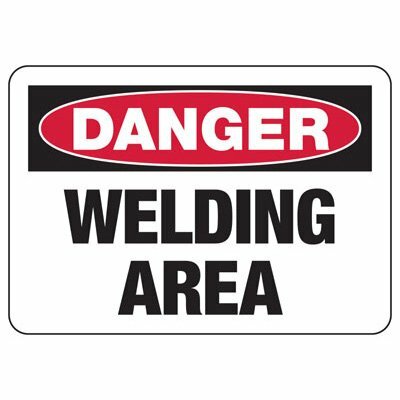 Alert people to the dangers present in welding areas within your facility. 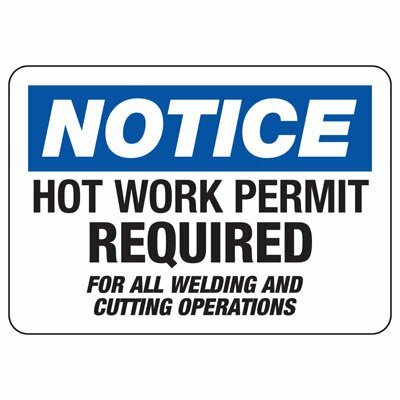 Keep visitors and employees informed with Welding Signs from Seton. 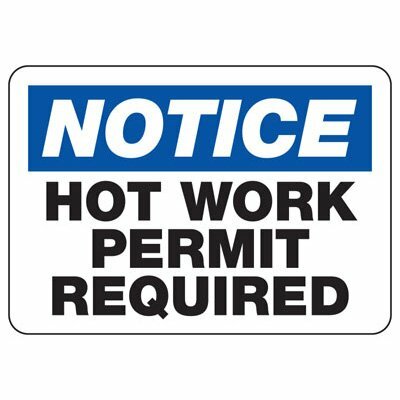 Since welding activities involve extremely bright flashes of light, heat and specialized equipment, it can be very dangerous, even when the appropriate precautions are taken. As such, it is important that people are always reminded of the safety protocols to observe when workers are performing welding tasks. Protective tools and procedures are only some of the necessary requirements needed to ensure a safe and secure welding environment. Make sure to implement the proper welding safety policies, to prevent accidents and serious injuries. 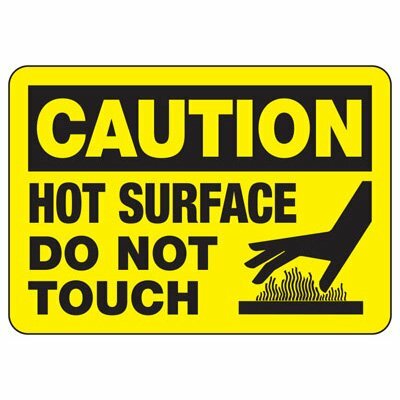 Reinforce your facility’s protocols with the proper safety warning signs from Seton. 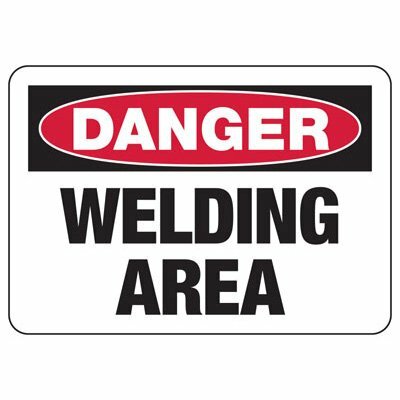 Protect people from the dangers of welding with the proper safety signs. 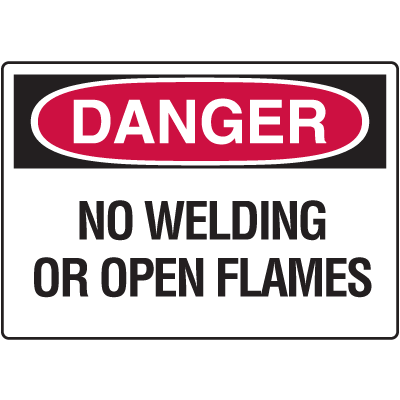 There are many good reasons why Welding Signs are needed. Welding is a highly dangerous activity that can injure both the welder and anyone who happens to be near the work area. It produces sparks, gases and molten metal that can cause injuries. High intensity light is also produced which can lead to severe eye irritation, specifically the outer layer and the cornea. Depending on the type and extent of exposure, temporary or permanent damage can be the end result and this can affect anyone who doesn’t follow the proper welding protocols. Make sure that people are aware of the dangers and are equipped to protect themselves. Intense light and infrared radiation are produced during the welding process. This can cause damage to the pupils, lens and retina of exposed workers. Other harmful by-products of the welding process are hot slag and airborne particulates. Like chemical fumes, these can leave seriously harmful effects on a person’s eyes. They can also cause irritation, abrasions, and various other surface injuries. Knowing the causes of the health risks that can result from welding is important in preventing potential injury. Following that, it is also crucial that people are notified of these dangers and how to protect themselves against such hazards. 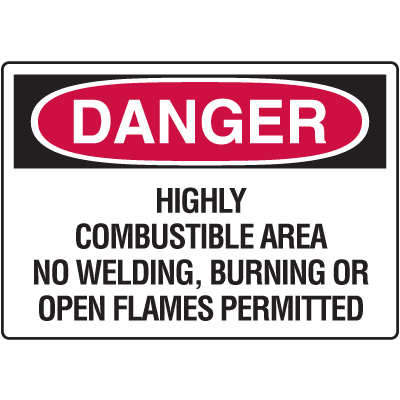 Post the proper safety signs in your facility with Seton’s line of Welding Signs. Make your selection from among our line of signage options that best suit your needs.